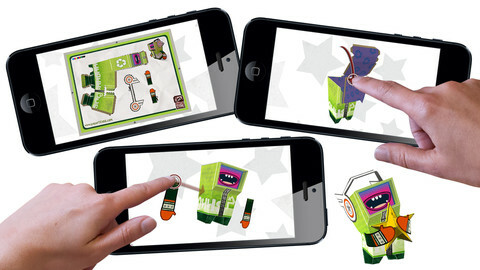 Paper Titans is an iPhone game developed byBlitz Games Studios Ltd. Spanning 45 magical levels, this game lets you create your own papercraft-style characters and use them to collect stars, complete puzzles, and conquer any landscape. 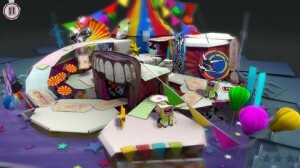 From the team that brought you the critically acclaimed Kumo Lumo, Paper Titans is an absolutely gorgeous puzzler. Fold your papercraft warriors, set them loose on a variety of gorgeously rendered papercraft-style levels, and collect all the stars you can. It’s quite simple, but utterly addictive. 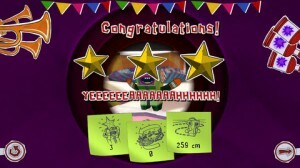 As with most App Store puzzlers, your all-consuming goal is simple: collect three stars in every level. 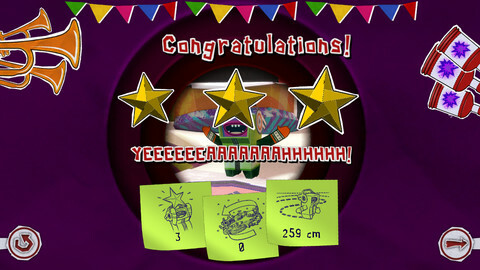 However, guiding your hero around a three-dimensional landscape makes it a bit difficult at times to find the best path to a three-star finish. 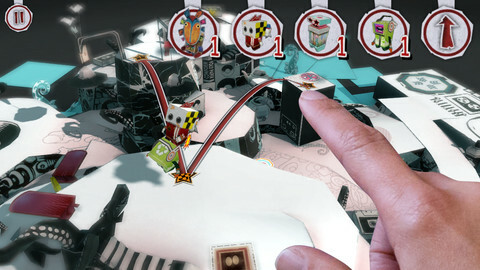 While the game starts out slow, it quickly grows in difficulty to a fiendishly difficult level of challenge. It’s a very satisfying progression. There are some minor issues here and there. While the graphics are absolutely stunning, the controls are a little wonky in places. You’ll need to use you finger to draw a path for your papercraft heroes, and finger inputs sometimes took a couple of tries to get just the right path laid down. While the controls are fairly solid, it’s worth noting that there have been big strides made in the most recent update. Version 1.2 boasts nine new levels, a new path indicator, and faster movements for the Titans. If you don’t have the manual dexterity for real papercraft projects, Paper Titans is an artsy-crafty puzzler that’s sure to please. The graphics are truly top-notch, and the game is a real beaut. Definitely give it a go! Paper Titansis compatible with iPhone, iPod touch and iPad. Requires iOS 6.0 or later. This app is optimized for iPhone 5.